The perfect role has arisen for a Residential Conveyancer looking to join a large reputable law firm, but working from one of their smaller branch offices maintaining a high street type feel. This reputable multi-site law firm is seeking a Residential Conveyancer to join one of their small branch offices in South Birmingham. This firm is commutable from Birmingham, Halesowen, Stourbridge, Solihull, etc, and is a perfect location to travel to by car. As a Residential Conveyancer in this team, you will come on board handling the full range of conveyancing transactions from instruction through to completion with the support of a legal assistant. This office is made up of a small conveyancing team of around three fee earners and four secretarial support/assistants. The ideal candidate will have at least three years' post qualification experience, or have at least four years' conveyancing experience running their own cases. This is a fantastic opportunity to work for a firm which can offer career and salary progression along with a friendly working environment! 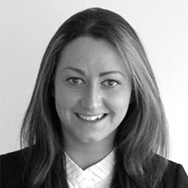 If you are a Residential Conveyancer seeking a change of environment or a move closer to home, then contact Rebecca Higgs for more information or apply online. 0121 609 1069.